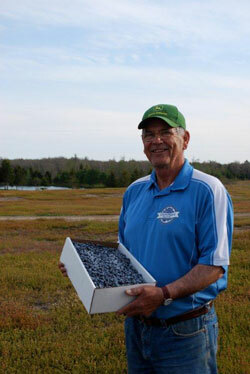 Glenmore Farms is one of the largest producers of fresh wild blueberries in Nova Scotia. We sell 5 and 10 lb boxes of fresh and frozen berries. We sell wholesale, as well as direct to consumers depending on the harvest and our supply. Berries can be purchased directly from our cleaning facility on the farm or they can be purchased from several retailers from Truro through to Halifax and beyond. Berries are typically available starting the 2nd week in August (weather dependent). Before making the drive to the farm, please call ahead to ensure berries are available since we do not harvest in wet conditions. Enjoy our fresh wild blueberries!